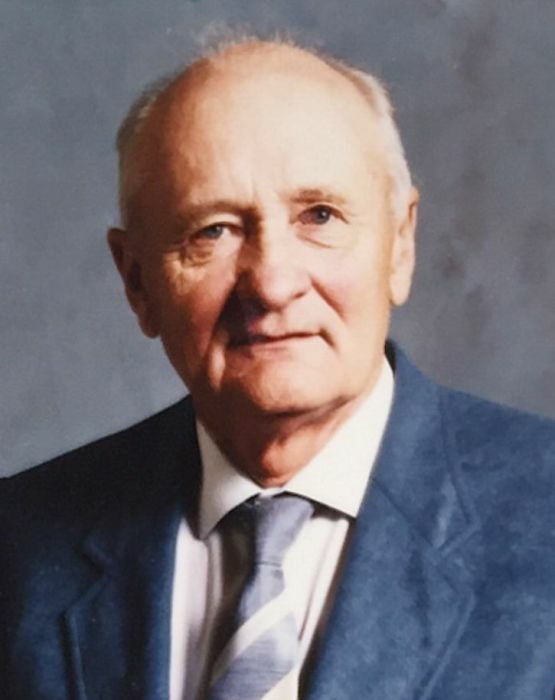 Edward Lorentz was born January 10, 1925 at Leduc, Alberta and passed away peacefully in Wetaskiwin Hospital on October 17, 2018. Edward is survived by his loving wife of 66 years, Marian Lorentz; daughter, Kathy (Mark) Donkin; son, Randy (Sandy) Lorentz; grandchildren, Krystina (Dave) Clark, Stephanie (Kerri) Meadows, Amanda (Ty) Collier, K.C. (Justene) Lorentz; great grandchildren, Barrett Clark, Mackenzie Clark, Charlie Meadows, Alexus Collier, Mckenna Collier; sisters, Elsie Assenheimer, Elnice Kreutz; sister in law, Eleanor Lorentz. Ed was predeceased by his infant son, Richard in 1960; parents, Michael and Pauline Lorentz; brothers, Lewie, Norman; and sister, Selma Hirsekorn. Ed grew up on the Lorentz family farm in Leduc, Alberta. Ed and Marian were married in November 1951 and moved onto the land that became Sunrise Farm, west of Wetaskiwin. Ed, semi-retired in 1987, continued to live happily on the farm until July 22, 2017. He went to his heavenly home on October 16, 2018 while in Wetaskiwin Long Term Care. The family would like to thank Dr. Tam and the staff at the Wetaskiwin Long Term Care for all their care and kindness. Ed was interred at the Emmaus Lutheran Cemetery. In Lieu of flowers, donations may be made to the Wetaskiwin Health Foundation - Recreation Therapy or the Lutheran Hour Ministries.